We specialize in commercial and residential design millwork for the hospitality, retail and home industries. Working closely with designers, builders, architects and home & business owners, we create the highest-quality custom furniture, tables, windows, and doors. We also produce best-in-class steel fabrication, reclaimed and new wood wall and ceiling accents, and distinctive hardwood and engineered wood flooring. We pride ourselves on our honest attention to client service and our ability to deliver top-of-the-line, scalable project results beyond your expectations. We mill and maintain a huge selection of locally salvaged, reclaimed barn wood siding as well as new-milled rustic siding — perfect for accent walls and ceilings. Make EndGrain your source for stunning custom hardwood tables, bars, desks and center islands for your home, restaurant, or office. 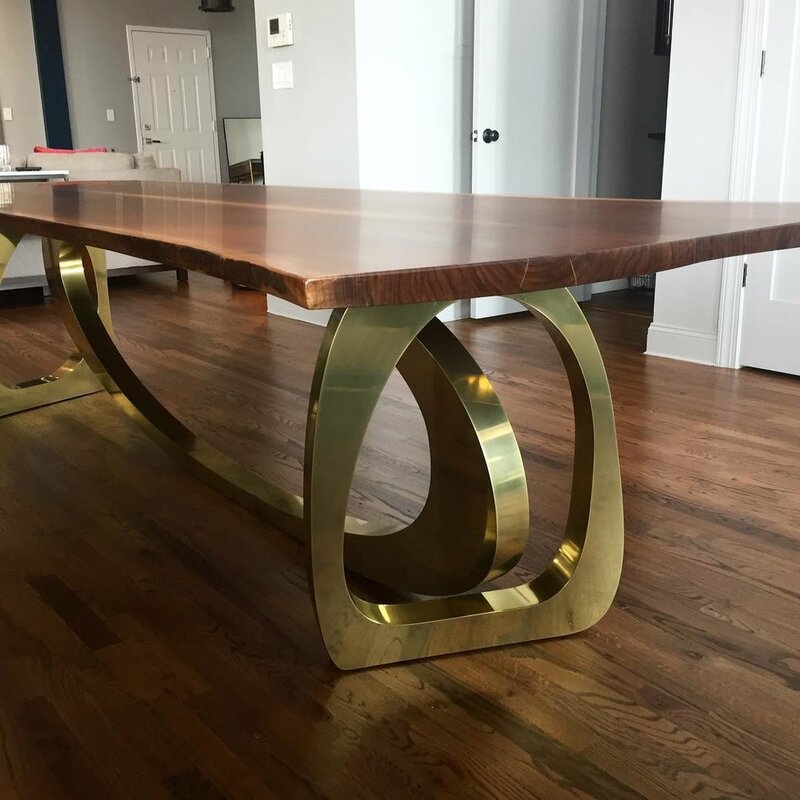 Our team of highly experienced, talented craftsmen are dedicated to creating visually stunning, functional furniture in a large array of mediums and styles. We collaborate with many of the country’s top architects, design firms, and contractors on a wide range of commercial projects; providing everything from flooring & siding, to entire custom build outs. Our Solid Hardwood Flooring Collection includes wide plank, reclaimed and custom milled wood flooring in a broad variety of species. Curated European White Oak and American Black Walnut make up our one-of-a-kind Engineered Wood Flooring collection. Looking to sell your reclaimed wood, logs, or other timbers? Fill out our online form and we’ll get back to you with our interest. We’re always looking to add motivated, passionate team members to the EndGrain family. Furniture makers, Metal workers, Design Internships and Entry-Level positions available!